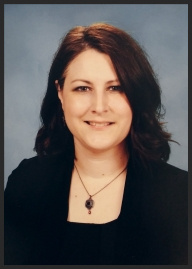 Laurette Reynosa is Director of the Orchestra and Piano Program at Bellaire High School. Before coming to Bellaire HS, Mrs. Reynosa taught at Lanier Middle School, as well as schools in Humble ISD. Under her direction, her orchestras have received many honors, including UIL Sweepstakes and Best in Class awards in festivals across the state. Her orchestras have also consistently placed as finalists in the Texas Honor Orchestra Competition. Mrs. Reynosa is a native Texan. As a child, she began piano lessons at age five, and joined her school orchestra on viola at age 10. She graduated from the University of Houston in 1997 with a Bachelor of Music degree in viola performance. During the summer, she is on staff at the Sam Houston State University Orchestra Camp, and the American Festival for the Arts summer music conservatory. She is a member of the Texas Music Educator's Association, Texas Orchestra Directors Association, and Texas Music Adjudicators Association. For over 20 years, Mrs. Reynosa has been a successful freelance performer and private teacher. Many of her students have participated in region and state orchestras. She remains very active as a performer, clinician, and adjudicator.